For another year running, Frigoríficos Costa Brava will be at the Food Hotel in Shanghai (China), for the exhibition's 18th year. 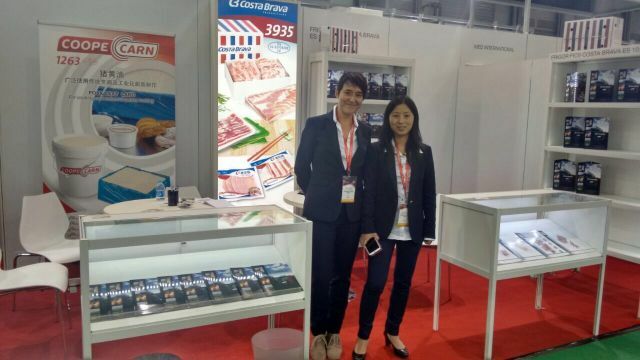 Held from the 12th to the 14th of November, the Food Hotel in Shanghai is one of the most important food exhibitions in China, and aims to put Chinese distributors in contact with international exporters in the global food sector, with our company among them. Frigoríficos Costa Brava will have a stand in the official pavilion set up for Spain, in Shanghai. The 18th year of the Food Hotel exhibition will see a total of 1,870 businesses represented, from over 70 countries, with 43 official pavilions.